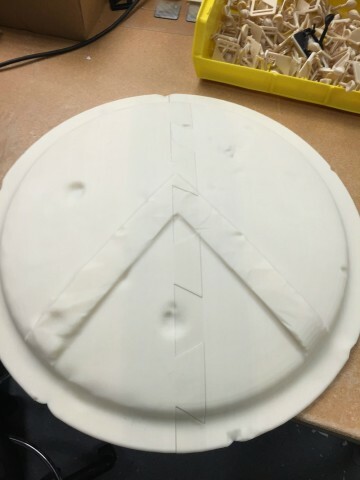 #3DPrinted 300 Gladiator Shield « Adafruit Industries – Makers, hackers, artists, designers and engineers! The part was built on a production-level printer in two pieces that had dovetail joints used to join the halves. 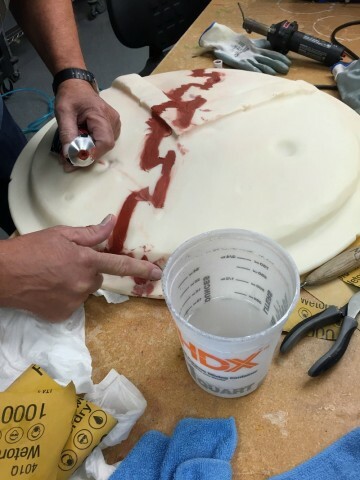 The joint runs from the top to the bottom of the part. Total machine time: ~160 hours. Material used is standard ABS material, about 180 cubic inches total. The paint finish was done with Rust-Oleum Hammered Bronze and a mix of shiny gold. 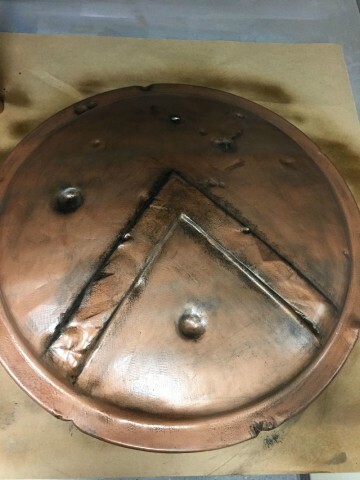 He applied a black wash mixed from water and black acrylic paint and applied it to the shield until he was happing with the level of weathering and aging. He sealed the paint with a clear coat.